The Nexus tablet range is once again in need of an overhaul. Nexus 7 and the now almost obsolete Nexus 10 are about to be replaced by newer models. What Google has in store for us, we don't know. However, rumors are hinting at a possible new segment of devices called Nexus 8. The 8.9-inch tablet will reportedly replace the popular Nexus 7 series of devices. As to how true the rumors are, it's too early to tell, but the word on the street is Google has indeed killed off both Nexus 7 and Nexus 10. This will be a huge step forward for Google as it would be directly competing with Apple's hugely popular iPad. Ever since Apple has upgraded its architecture to 64-bit, the Android fan club is dying to get their hands on devices built on the bleeding edge technology. Switching to the 64-bit architecture is a huge step forward not only for Android but also for the mobile landscape in general. Though this may cause a few hiccups, especially for developers, moving forward seems to be the best option for Google. Rumors have strongly hinted at Android 4.5 being introduced along with Nexus 8. Let's hope those rumors are true. Android 4.5, as many suggest, might bring about a much-anticipated design overhaul to the open-source operating system. Faint teases of the redesign can be seen on the recent update of Google Keep that features bright yellow colors on top. Though this is not a must-have, Samsung's Galaxy S5 has started a new trend of waterproof smartphones. While Samsung is known for coming up with unnecessary features, it does, however, gets the water resistant feature right on. In this day and age when mobiles and tablets have become a part of our daily life, having water resistance built-in is a huge bonus. Moreover, many people use their tablets to help their kids learn drawing and alphabets, for them, having water and dust resistant tablet is a huge feature to have. In the day and age where you have the shiny and metallic HTC One becoming a paragon of well-designed devices, the Nexus line seems rather understated. 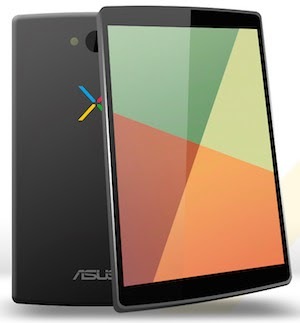 If you look at the metallic iPad or the shiny Lumia, Nexus 7 looked like just another tablet. While it had powerhouse features backing it, it was a rather okay-looking phone. We hope Google spices things up this time by bringing some sleek and shiny design elements to the Nexus line. One thing people love about the Nexus line is that it's a steal for its price. Nexus smartphones and tablets are damn cheap compared to the features that they come loaded with. We hope that Nexus 8 follows the same trend and comes with a very affordable price tag as well. An 8.9-inch device means that you'll be able to watch movies on it comfortably. More than movies, you've got your favorite YouTube running on your tablet in its full glory. This means that the Nexus 8 needs to have some really good speakers to make it a good media device. Google can surely take cue from HTC (or even collaborate with them) to come up with some great speakers that would make the Nexus 8 a treat to watch movies on. The bigger the device the more crisper the display needs to be. Google needs to take great care in building a display that's suited both for reading as well as playing movies. The whites need to be white and the sharpness needs to be just right. Good luck, Google! Though one rarely takes pictures with the back camera, it is sometimes useful for taking quick pictures. However, on an 8.9-inch or even an 8-inch tablet, the usage of such a feature is very rare. What users prefer more, in a big tablet, is that the front-facing camera should be of good quality. This helps them use the tablet for Skyping, Hangouts, or other means of video chatting. An 8MP front-facing HD camera would be a great way to make Hangouts even more delightful. Let's hope Google gets it right.